Bridget is the Principal Investigator of Unequal Treatment: The Role of Health Services. She is also involved in the Mauri Tangata project on unemployment and health, several projects on Māori cancer outcomes, and she is active in providing Tackling Inequalities workshops for the health sector. 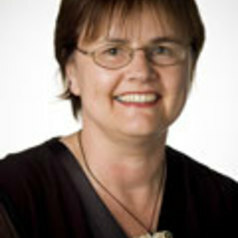 Bridget was also an author on Hauora: Standards of Health III. Jones, B., Ingham, T. R., Reid, S., Davies, C., Levack, W., & Robson, B. (2015). He māramatanga huangō: Asthma health literacy for Māori children in New Zealand. Commissioned by Ministry of Health and the Asthma Foundation of New Zealand. Wellington, New Zealand: University of Otago. 92p. Robson, B., Purdie, G., Simmonds, S., Waa, A., & Rameka, R. (2014). Māori health profiles. Australasian Epidemiologist, 21(3), (pp. 85).